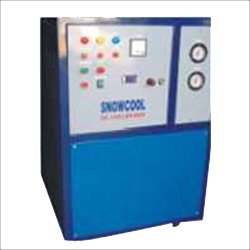 Providing you the best range of hydraulic oil chillers with effective & timely delivery. We hold expertise in manufacturing of high efficiency Hydraulic Oil Chillers, which finds application in hydraulic cutting, lubrication, broaching, honing, quenching, drilling and grinding. These chillers are designed by experts to ensure these provide rapid and effective cooling. Our durable chillers can be customized in accordance with the requirements of the clients and can be availed at an affordable price. Looking for Hydraulic Oil Chillers ?